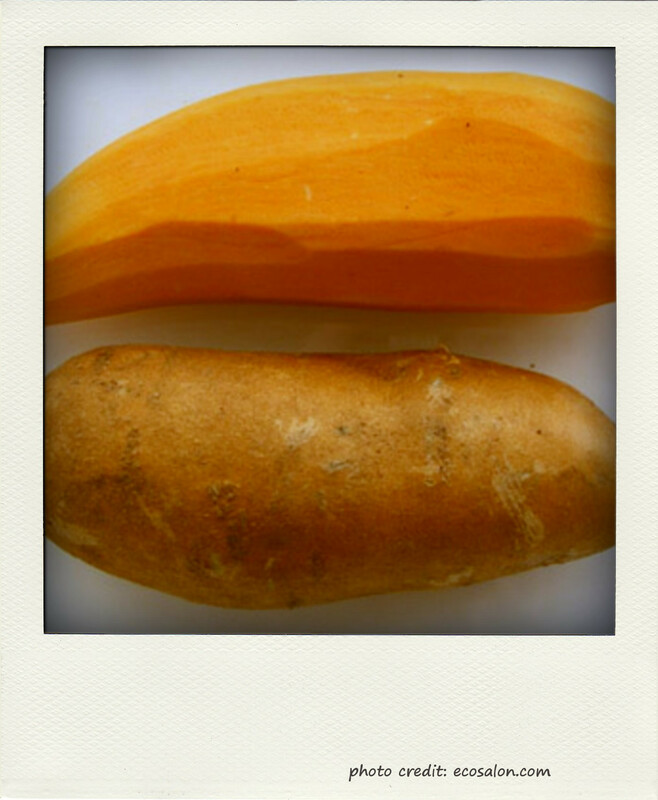 Interesting and useful: beta-carotene absorbs much better in the body, when consumed with a small amount of fat, so prepare your sweet potatoes with some healthy oil/butter to really reap all the benefits. Lots of nutrients are also hidden in the skin, try consuming them unpeeled (but well scrubbed). Sweet potatoes have a low glycemic-index (GI), meaning better blood-sugar effect, and steaming or boiling them, instead of baking, helps preserve it. Toss all ingredients in the juicer, let it do its magic and enjoy! Until then enjoy your fruits and veggies! p.s. : As always, the words in blue contain a link to the Glossary, where you can check the meaning of some terms used in the post. This entry was posted in Nutrition & Recipes and tagged anti-inflammatory, antioxidant, food, low GI, sweet potato. Bookmark the permalink.